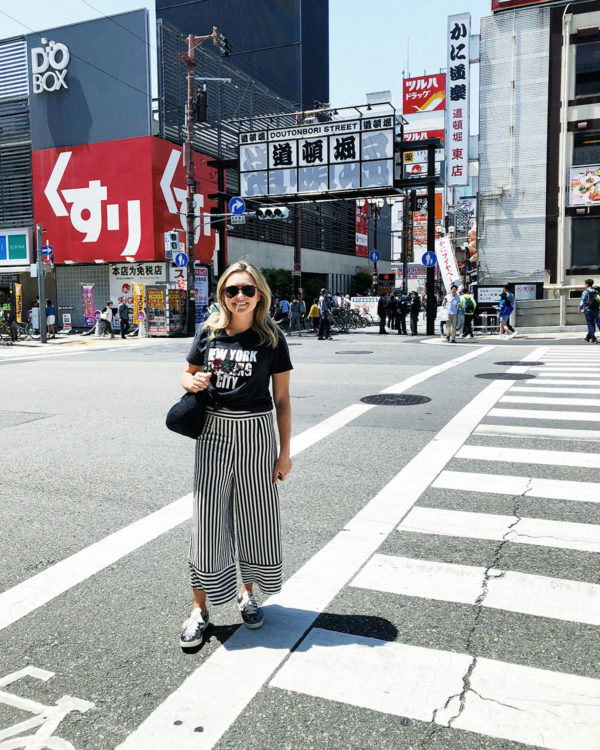 After documenting all of my outfits from Australia in one post, I figured I’d do one big “real outfit recap” from my recent trip to Japan. 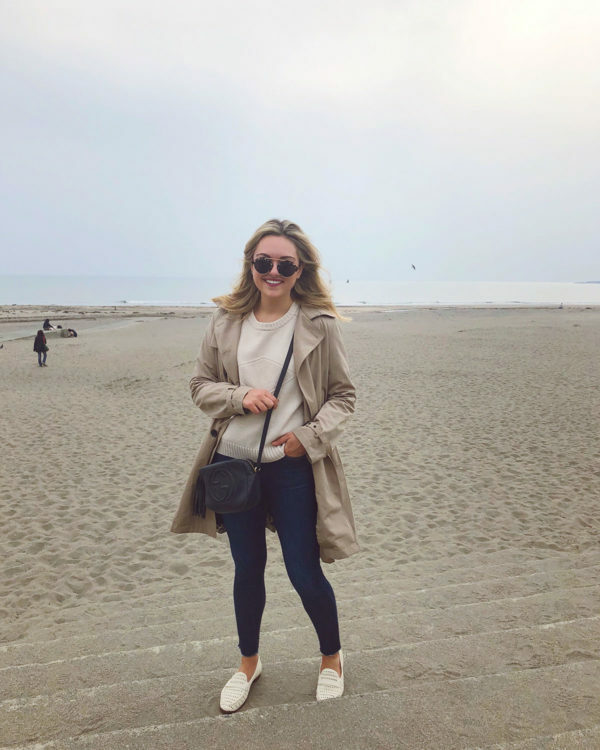 Here’s what I wore every single day of our 2.5 week trip! And as promised, I’ll be sharing more of our trip itinerary very soon. 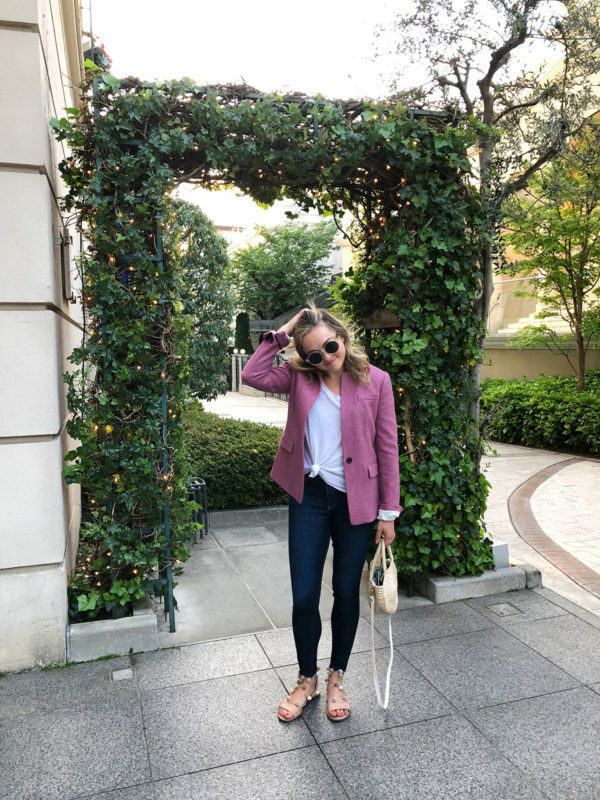 See how I’ve styled this blazer on the blog before in this post! Check out this post to see why these are my favorite white jeans! This skirt is an oldie, but a goodie! See how I’ve styled it before here, here, & here. Check out this post to see how I last styled these perforated loafers on the blog! Check out the full blog post here! See how I’ve styled this floral blouse here and here. 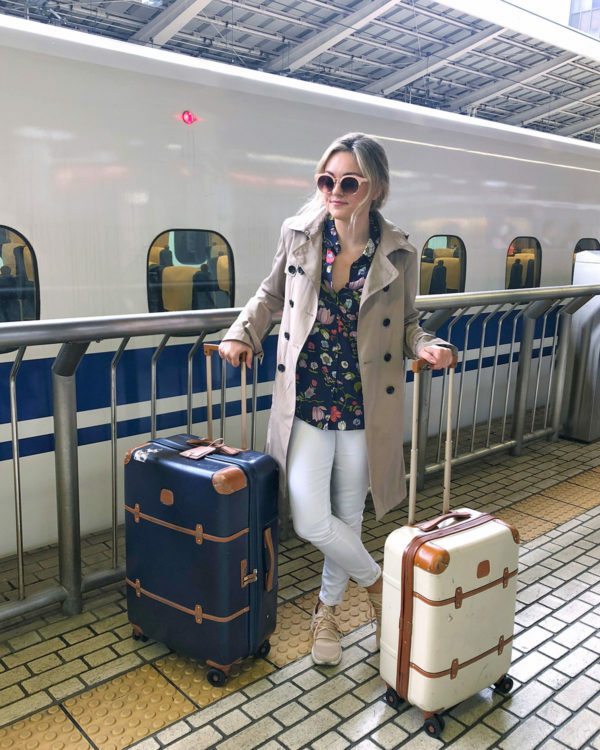 And for more travel style outfits, check out this post, this post, and this post. LOL — sorry, these were only for borrowing at the ryokan we stayed at in Kyoto! 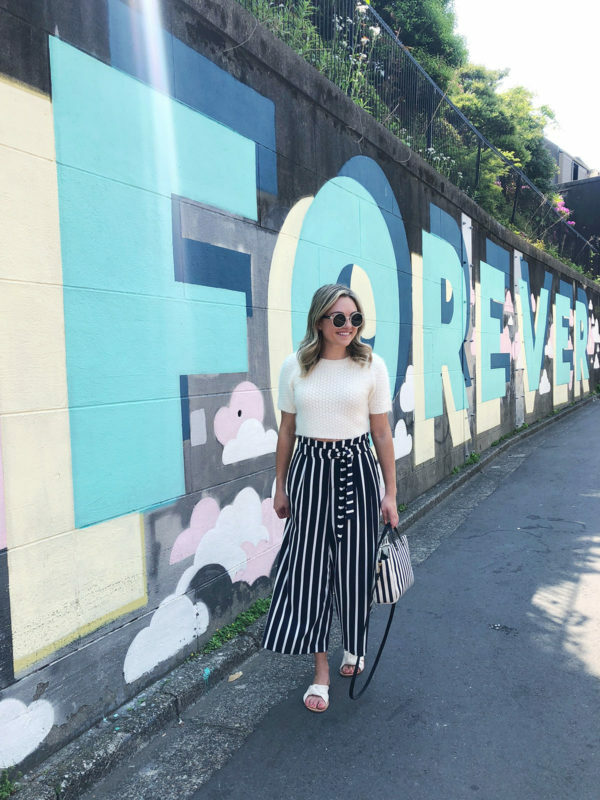 See how I’ve styled this pink pleated midi skirt on the blog before here! Check out how I styled this maxi dress in Australia in this post! 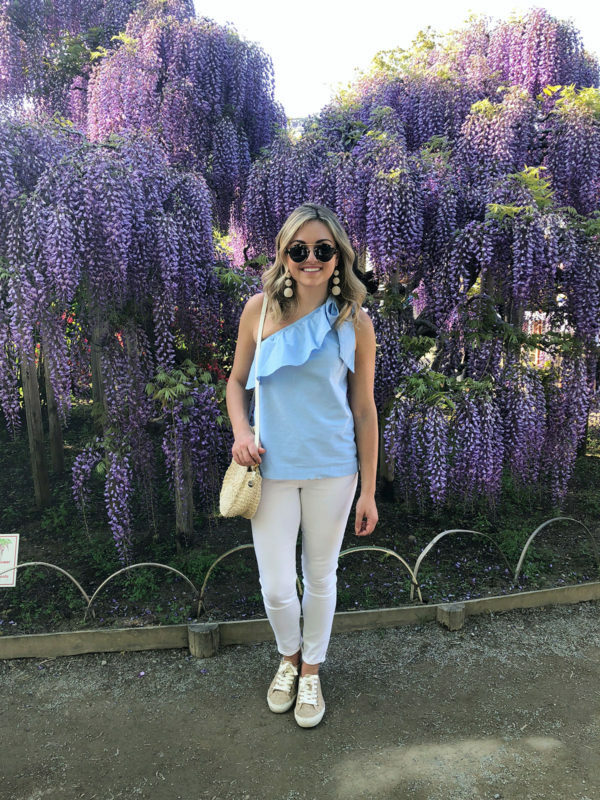 I love how feminine this top is — so easy to throw on with white jeans and call it a day! The sweet striped fabric with a subtle daisy print also comes in the form of a maxi skirt. This tee is such a throwback! See it on the blog here in 2014. See the full outfit post here! 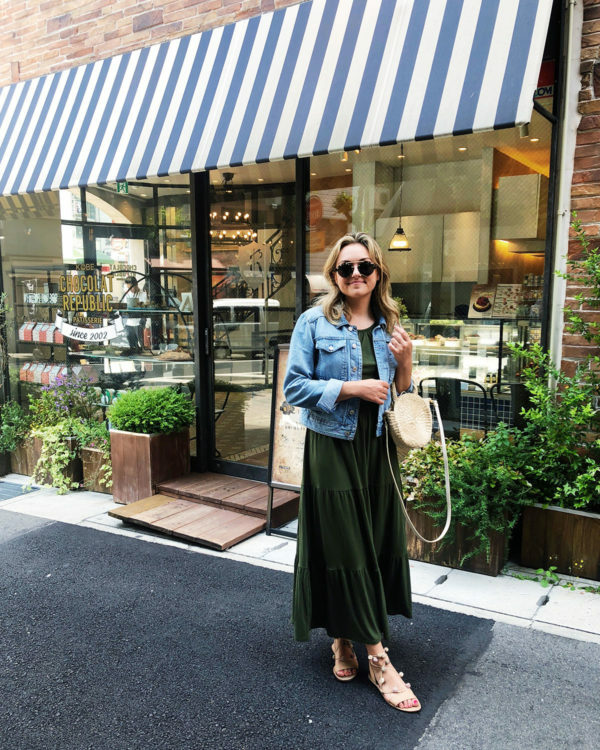 I wore this maxi dress on repeat in Australia, too! I also have it in black. 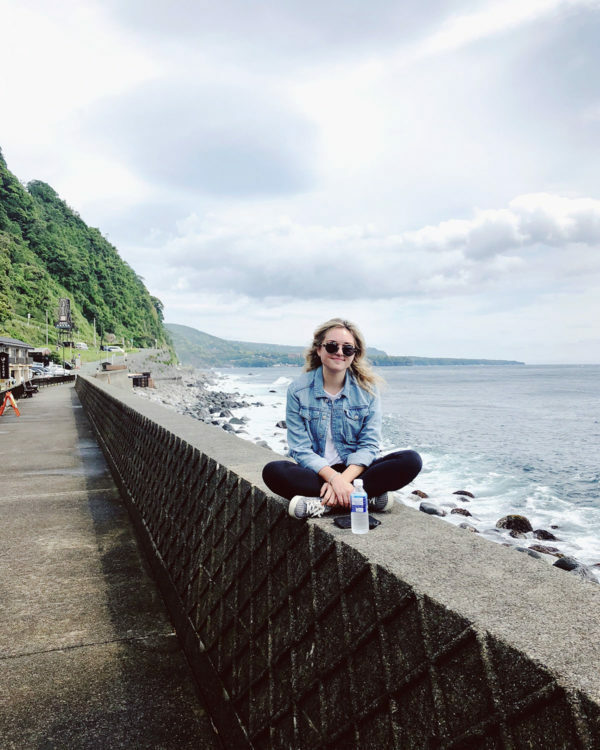 I forgot to snap a picture on Day 14 when we were traveling from Osaka to the Izu Peninsula and this is a quick snap of Day 15 where we traveling from the Izu Peninsula to Tokyo and then to the airport to fly home. #PlanesTrainsandAutomobiles. 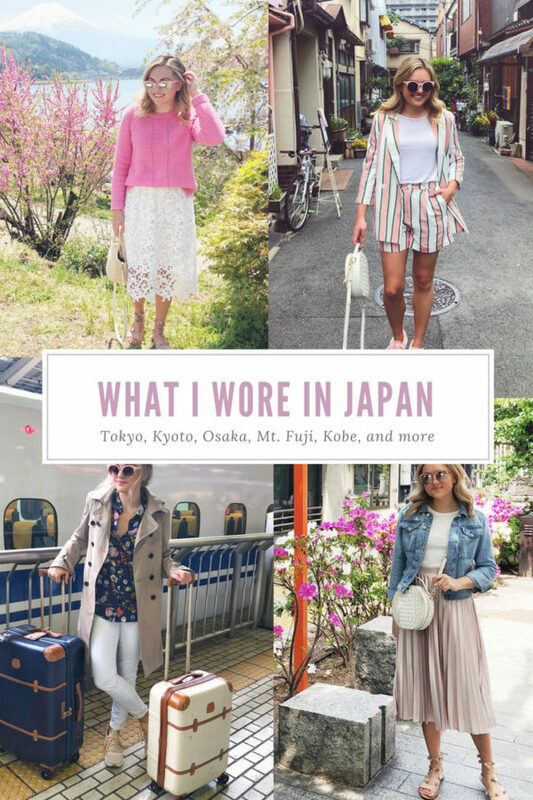 Wow, I’m absolutely impressed that all the looks you wore in Japan are that perfect! Wow! What a great post. Looks like you packed well and had comfy, yet stylish, outfits! 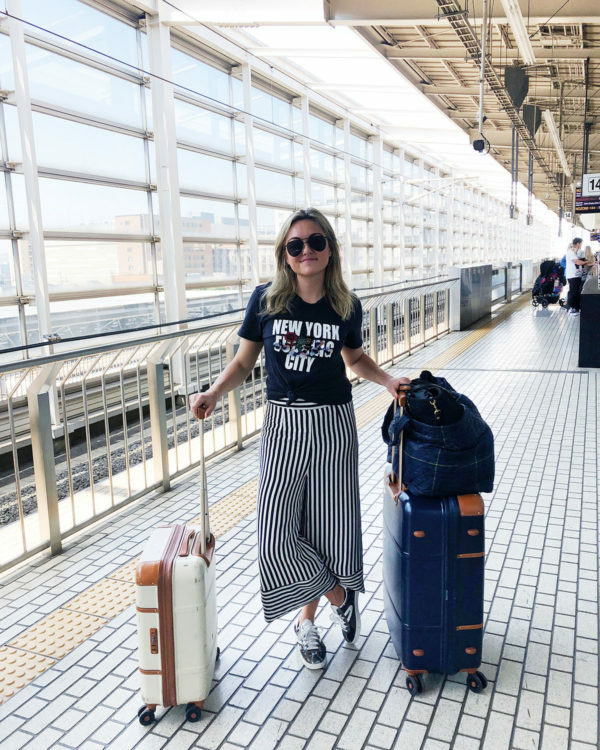 Perfect travel day and exploring outfits, just about as realistic as it gets and what I would wear too! Beautiful outfits! I love those Old Navy maxi dresses. The backgrounds in these photos are beautiful, I can’t wait to hear more about the itinerary! Girl yes these outfits are so cute and you’re so lucky you get to travel to such amazing places! I love how you travel in style! So many cute outfits! I love this post! 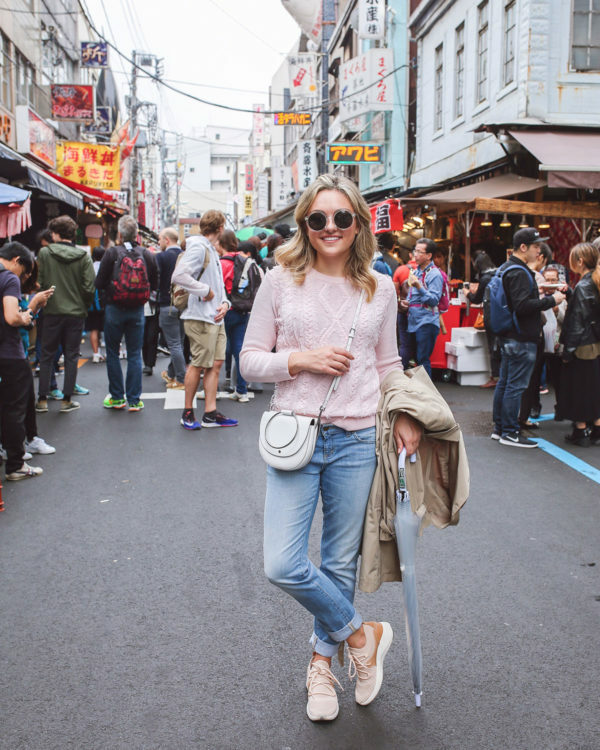 So interesting to see exactly what you wore while traveling. Now – how did you fit it all in your suitcase?? Such a fun article to read! I like most outfits..seems like a denim jacket is a must for Japan ;). I would love to visit Japan someday! Beautiful outfits – looks like you had a fab trip. I’m going in April and can’t wait – I’m already planning my packing list! 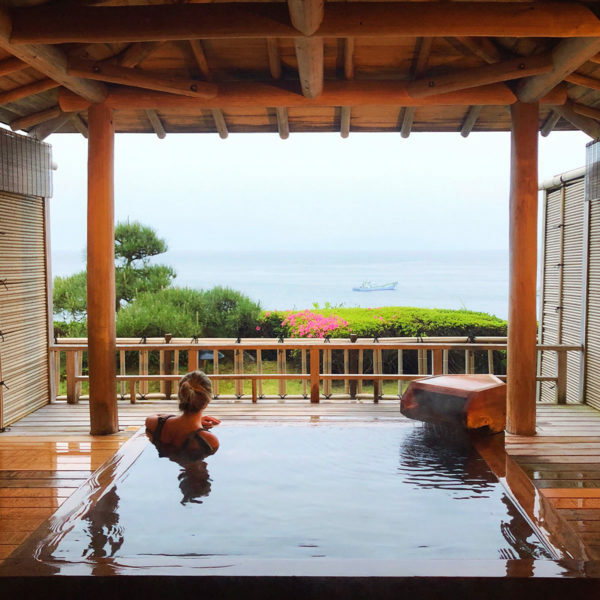 We are going to Osaka and Kyoto in March, may I ask what Ryokan you stayed at? 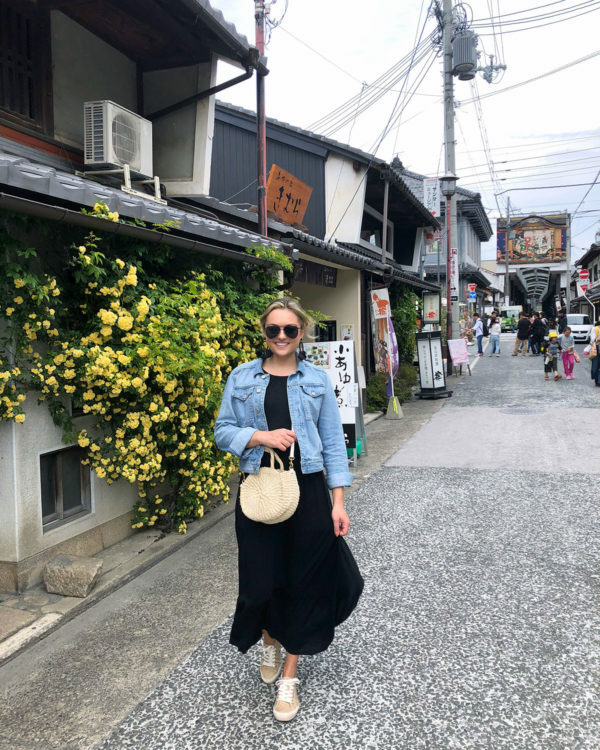 We stayed at Gion Hatanaka!